Knot-Release Therapies is proud to introduce Moses Lake's first Total Body Transformation system. 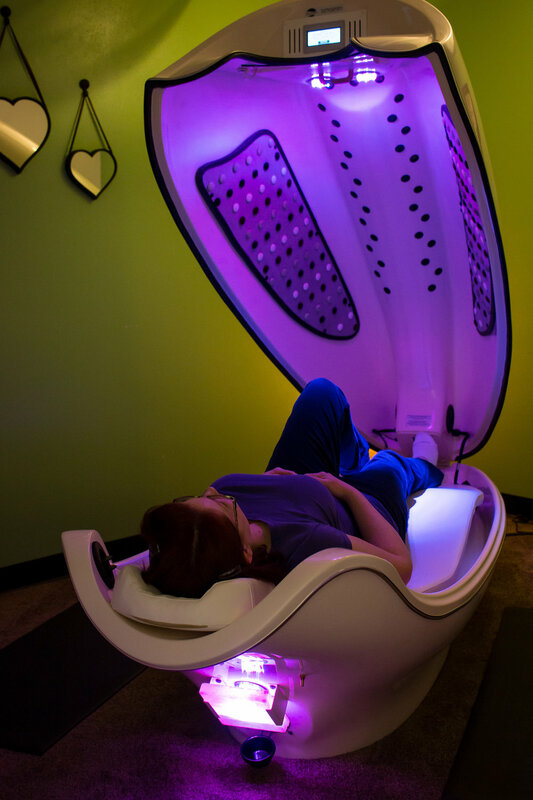 The Cocoon Wellness Pod is an self automated 8-in-1 system designed to help you loss weight and inches, burn calories, firm and tone your body with all the benefits of infrared heat and H.I.T fitness. Relax and improve your sleep with a Power Nap Mode. Decrease pain and increase recovery with the Wellness Mode. Relax with soothing hot massage and rejuvenate your skin with amazing natural product. One Stop Wellness Assessment Technology - The most powerful 3D body scanner and reporting engine. Designed to provide the most comprehensive wellness assessments including 3D body scans, posture analysis, hundreds of measurements, body composition, body shape wellness scoring, and 4-point weight scale. All of this paired with a powerful Cloud Reporting Platform that allows you to view your data on any device from anywhere, including single scan reports, side by side comparisons, and an aggressive feature list.